Mrs Hannah Maclurcan might’ve been one of Australia’s first celebrity food writers, but she was also an ungrateful, money-hungry, lying, possibly plagiarising woman who didn’t mind pulling the wool over the eyes of her fellow countrymen. But I digress. Below are the charges I have made against Mrs Mac, with evidence gathered from her own hand to support my claims. So your first edition sold out in a matter of weeks, you have the privilege of publishing a second edition and you’re whining about the fact that you might have to do a third? Boo freaking hoo. Pass me the tissues while I contemplate the fact that I have published no books, let alone editions of them. I’m glad you ended up having to write another 18 prefaces Hannah Maclurcan. It serves you right that your book was updated and published a staggering 20 times. You didn’t really succeed in saying anything original in any of them either – the 18th edition, which was published in Sydney and Brisbane in 1922, is almost the same as the 2nd, although you at least sound a little more gracious. Meaning it took you 24 years to learn some manners. Well done you! In the preface of the 18th edition, she is still addressing the same problem, unsurprisingly, in almost the same words she used 24 years ago. Is it a case of the lady doth protest too much? Certainly Beverley Kingston, who authored Maclurcan’s entry in the Australian Dictionary of Biography, suspects it might be. She writes Maclurcan “was perhaps the first Australian celebrity cook writer (and perhaps also the earliest to be accused of passing off others’ recipes as her own)”. Just accused? Actually did it? The truth is I don’t really know, because, let’s face it, I’m lazy and I haven’t done enough research, but I certainly wouldn’t put it past her. And neither will you once you read the next entry on what a liar she turned out to be. This means if you had the pleasure of being a guest at Mrs Maclurcan’s table, it’s likely you ate wallaby when you thought you were eating hare. Seeing as Mrs Maclurcan was a hotelier as well as a food writer, she probably served up this neat little trick during her time at the Queen’s Hotel in Townsville and, later on, at the Wentworth Hotel in Sydney. Nice. But the deceiving doesn’t stop there. The 1922 edition of the book is said to be “New and enlarged”. Strange because the 1898 edition has 891 recipes, whereas in 1922 there are only 552. I’m no Stephen Hawking but that’s a funny way to make a book “enlarged”. I could cut Mrs Mac a little slack here. Yes, it’s true her books are packed with advertisements for everything from local grocers to Lipton’s Tea but, according to Richard Beckett in Convicted Tastes, “almost all early cookery books were packed fore and after with advertisements”. Perhaps Hannah was just doing what all the other cool food writing kids were doing back then. Still, for my naive editorial-should-be-separate-from-advertorial tastes, she’s gone a step too far in the case of Elliott’s Queensland Baking Powder. In the front of her 1898 edition, there is as ad which tells us that Queensland Baking Powder is “absolutely pure” and “Food raised by Queensland Baking Powder may be eaten hot with impunity”. This begs the question of what happens when you eat it cold, but let’s leave that alone for now. An ad is an ad is an ad and having worked in the media I understand it’s not the cover price that pays your wage. In the book itself, however, a large selection of recipes for cakes and biscuits including Orange Rock Cakes and Dundee Cake all call for teaspoonfuls of “Elliott’s Queensland Baking Powder”. “So what?,” you’re probably asking. That’s ok. 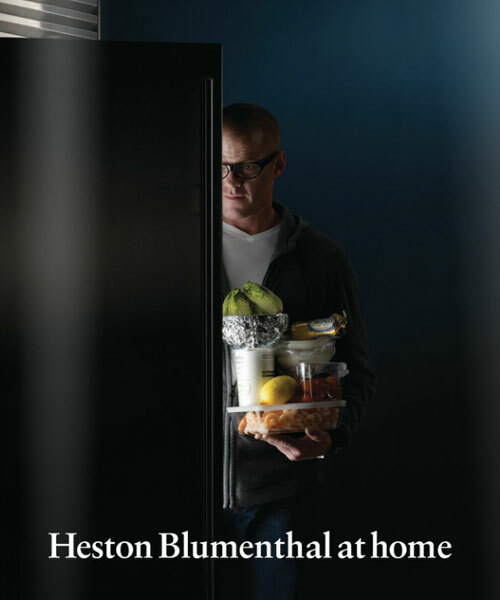 Many modern food magazines include editorial mentions in recipes all the time, especially when the company in question has bought an ad in the front of the book. What’s curious, however, is that in the 1922 edition the recipes for the Orange Rock Cakes and the Dundee Cake are identical in every way except for one. Not only is Queensland Baking Powder no longer included, there is no mention of baking powder at all. It has been replaced with self-raising flour. I wonder what happened here. I like to imagine that Hannah flew into such a rage when she learnt that Elliott’s had pulled their products from her book that she decided she would never ever even mention baking powder again. Or maybe she re-tested the recipes and found they worked better with self-raising flour. Clearly, I prefer the former scenario. Perhaps I’ve been brutally unfair to Mrs Mac. Certainly there’s more research to be done, another 18 editions of her book to look at, more literature to review. For all I know Mrs Maclurcan could have been a grand, generous dame who fed the homeless and saved stray dogs from becoming meat pie filling. But my gut feeling is that Mrs Maclurcan was a nasty passive aggressive piece of work. And my gut is always right…usually.